Charlie Henry is a LEED-certified professional who is leading Alter’s sustainability efforts at its Southwestern developments. Charlie’s significant national healthcare development and construction experience is invaluable to Alter and its Alter+Care affiliate, which develops ambulatory-healthcare environments. Since joining Alter in 2008, Charlie has worked on the 50-acre Arizona Health & Technology Park in Mesa, AZ; the 187-acre mixed-use Riverwalk at Talking Stick in Scottsdale, AZ; and the 100-acre mixed-use Glendale Airpark in Glendale, AZ. Additionally, he has delivered healthcare/ laboratory, retail, hospitality, residential, government, and transportation projects in national markets. 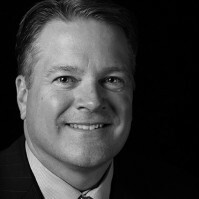 Over the course of his career, Charlie has been responsible for the successful delivery of more than 6,800,000 SF of construction at a value in excess of $1.1 billion for such leading general-contracting, construction-management and design/build firms as Okland Construction Company; Hunt Construction Group, Inc.; and Skanska USA Builders. Charlie’s strengths include contract negotiations and management; cost estimating and value engineering; risk management; construction staging; logistics; technical expertise; and design-efficiency analysis. In his current capacity, Charlie provides strategic planning and business development services; pre-construction services; contract negotiations; resource management and allocation; as well as maintaining client satisfaction. Charlie holds a Bachelor of Science in Building and Construction Management from Clemson University.